ost appraisals call for going-concern value — that is, the value of a business as if it will continue to operate profitably into perpetuity. Going-concern value is a function of future cash flows. But in a troubled economy, there are more instances when going-concern value might not be as relevant as liquidation value. This is particularly true if a business is unprofitable and having trouble paying off its debt. Liquidation value is a function of the net proceeds shareholders will receive if assets are sold piecemeal and debts are repaid. It sets a “floor” for a company’s value — the business may or may not have a higher value as a going concern, depending on whether expected earnings are sufficient to have a material effect on value. Liquidation value starts with the company’s balance sheet. Valuators assess the recoverability of each line item. 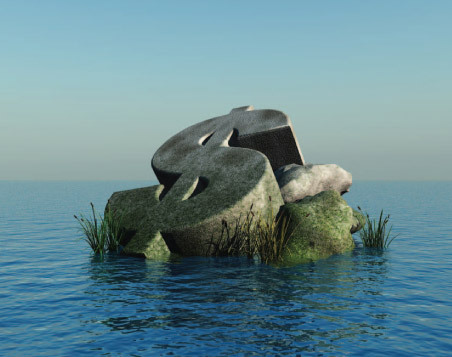 Working capital accounts, such as cash and receivables, are the easiest to liquidate. For example, cash is 100% recoverable, and receivables might be 80% recoverable. With the exception of real estate, recoverability is generally lower as you proceed down the balance sheet. For instance, inventory and equipment might be 50% to 70% recoverable, while some intangibles, such as goodwill, are largely unrecoverable. Asset values are stated net of selling expenses (such as advertising and auction fees). Debts usually remain at book value, and valuators subtract them from the sum of the company’s assets. What’s left over can be distributed to shareholders and be used to pay taxes on gains of assets sold, if applicable. The most obvious situation in which liquidation value comes into play is when the business is distressed and owners are considering bankruptcy. If a company’s debts exceed the combined liquidation values of its assets, the company suffers from longterm insolvency. But some companies are insolvent only over the short run. These companies are unable to meet their current debt obligations. Valuators can help stakeholders understand whether a company’s insolvency is short-term, long-term or both. Companies that are solvent over the long term but face short-term insolvency may liquidate specific assets to fund their immediate cash flow needs. This can buy time for them to reorganize as a leaner, goingconcern entity. Insolvent businesses also might consider debt renegotiations. A distressed company may be able to turn around its short- or long-term credit problems if creditors lower interest rates, forgive some principal or extend the duration of notes. Some companies can neither meet short-term obligations nor pay off debts with existing assets. These truly insolvent entities may be better off liquidating than bleeding to death as a distressed business. It’s important to continually monitor liquidation values, because they may change throughout the bankruptcy and reorganization process. Sometimes strategic buyers — such as competitors, suppliers or customers — are willing to pay more than liquidation value to acquire the assets of a distressed firm. This could be the optimal scenario for everyone involved in a bankruptcy. Shareholders may stand to gain more through reorganization, which can put creditors at greater risk. Often shareholders and creditors have conflicting opinions about how to handle insolvency. Creditors may be more risk averse, preferring to cut their losses by liquidating. Shareholders may stand to gain more through reorganization, which can put creditors at greater risk. Balancing these conflicting points of view requires objectivity and finesse. 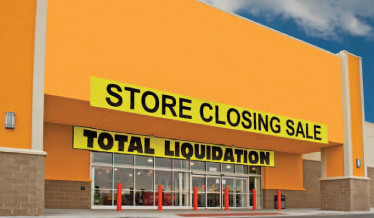 Companies facing bankruptcy aren’t the only ones interested in liquidation value. Banks now impose stricter underwriting standards and might inquire about liquidation value as a benchmark of the worst-case scenario regarding collateral values. This is especially relevant when a borrower fails to meet its loan covenants or is a startup with limited operating history. Owners and managers also might investigate liquidation value as a bottom line for business value. Some going-concern entities have simply accepted the status quo for years without considering whether more lucrative investment alternatives exist. Proactive owners consider liquidating unprofitable or noncore business segments in favor of ventures that offer higher returns. 1. Orderly liquidation. This is the amount shareholders could realize from a well-publicized liquidation over a reasonable time period. Think of it as a going-out-of-business sale. Orderly liquidation sales typically take 90 to 120 days to complete. 2. Forced liquidation. There is a greater sense of urgency in a forced liquidation. It’s more like a bankruptcy fire sale, in which all the company’s assets are auctioned off in a single location. Often this premise presumes the seller or auctioneer will have time to advertise the fire sale, but typically not more than 30 days. Forced liquidations are common if a key owner unexpectedly dies without a succession plan in place. Or a bankruptcy court may impose one. The proceeds from an orderly liquidation are usually greater than from a forced liquidation — unless the company’s assets are highly specialized or there is a limited pool of interested buyers who are ready to act quickly. The difference between orderly and forced liquidation values is less material if the struggling business will continue to incur losses and fixed costs during the liquidation period. In this case, the extra months of operating losses are likely to eat away at liquidation proceeds. A valuator doesn’t automatically default to goingconcern value when appraising a business or business segment. The appropriate valuation premise depends on the standard of value, the purpose, the business situation and the type of ownership interest. A valuation professional can help assess whether liquidation value is relevant, given the facts and circumstances of a particular situation. ven the most successful business may eventually falter without a reliable buy-sell agreement. Why? Buy-sell agreements act as a form of insurance to protect companies during significant ownership changes. These changes may be foreseen, such as an owner’s retirement, or completely unforeseen, such as an owner’s death or a dispute among shareholders. A good agreement’s buyout terms and provisions can ensure the company remains stable and solvent through upheaval — and that the departing owner (or his or her family) receives the appropriate payout. But an inadequate buy-sell agreement may be worse than no agreement at all — giving owners a false sense of security. That’s why it’s important to consult with an experienced valuation professional to ensure your agreement covers all the valuation bases. Get to first base: Define buyout terms. Comprehensive buy-sell agreements explicitly define the appropriate standard and basis of value to apply to owners’ interests. For example, an agreement might prescribe “fair market value” as defined in Revenue Ruling 59-60. For minority interests, fair market value implies a minority, nonmarketable basis of value. Conversely, an agreement might use the term “fair value” and define it to refer to each owner’s pro rata share of the entire company’s controlling, marketable value. Other important valuation parameters include the appropriate “as of” date and payout mechanisms. Funds might be generated from life insurance proceeds, bank loans or seller financing. If exiting owners (or their estates) will be paid over time, it’s important to specify duration, interest rates and variable-rate market indices. Continue to second base: Avoid ambiguous or outdated valuation formulas. Some buy-sell agreements prescribe valuation formulas to avoid the time and expense of hiring valuators. Unfortunately, these formulas may be oversimplified or outdated. 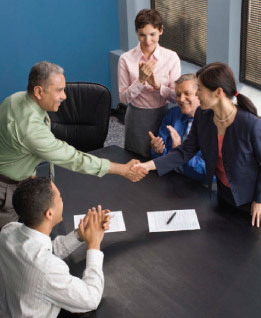 Consider an agreement that stipulates the company is worth five times annual earnings. What does the term “earnings” really mean? One valuator might assume it refers to accounting net income and another might use pretax earnings, adjusted for nonrecurring items and quasi-business expenses. Different interpretations can lead to substantial variance in opinions. and, therefore, is likely to undervalue the business. Conversely, if the company has significant contingent liabilities — for example, environmental cleanup or pending lawsuits — the formula might overvalue the business. Reach third base: Specify the financial data to be used. Suppose an owner dies on Jan. 10, 2013. Would the valuator rely on 2011 audited financial statements, unaudited internal records for the trailing 12 months, or the 2012 audited financial statements (which might not be available until April 2013)? Thorough buy-sell agreements specify how to determine financial statement dates and the requisite level of assurance (compilation, review or audit). If controlling owners engage in financial misstatement or deny minority shareholders’ access to facilities or financial information, agreements also might call for forensic accountants. Hit home: Predetermine the agreement’s appraisal timeline. Remaining shareholders seldom are in a hurry to buy back shares, but exiting shareholders — or their surviving family members — have a financial incentive to cash out quickly. Valuation often takes longer than owners anticipate, especially if the buy-sell agreement calls for multiple experts or valuation disputes arise. Predetermined timelines can establish reasonable expectations and help ensure buyouts are completed in a timely — but not rushed — manner. Don’t handicap your team by failing to ensure the valuation under your agreement will be well reasoned and supportable or failing to update the agreement periodically as circumstances change. With foresight and the help of an experienced valuator, you’ll win the game. any business owners and managers use strengths, weaknesses, opportunities and threats (SWOT) analysis to frame their strategic planning. Valuators may also use it to help evaluate a company’s performance — as well as its future prospects. 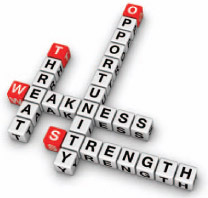 SWOT analysis starts by spotlighting internal strengths and weaknesses that affect value. Strengths are competitive advantages or core competencies that generate value, such as a strong sales force or exceptional quality. Conversely, weaknesses are factors that limit a company’s performance. Generally, weaknesses are evaluated in comparison with competitors. Examples might include weak customer service or negative brand image. Valuators generally tie a company’s strengths and weaknesses to customer requirements and expectations. A characteristic affects future cash flow — and therefore, value — if customers perceive it as either strength or weakness. The characteristic doesn’t affect value if customers don’t care about it. are favorable external conditions that could generate return if the company acts on them. Threats are external factors that could prevent the company from achieving its goals. When differentiating strengths from opportunities (or weaknesses from threats), the question is whether the issue would exist without the company. If the answer is yes, the issue is external to the company and, therefore, an opportunity (or a threat). Changes in demographics or government regulations are examples of threats or opportunities a business might encounter. SWOT analysis is a logical way to frame a discussion of business operations in a written valuation report. SWOT analysis is typically presented in a matrix. (See “SWOT analysis matrix” at right.) The analysis can serve as a powerful appendix to a valuation report or courtroom exhibit, providing tangible support for seemingly ambiguous, subjective assessments regarding risk and return. In a valuation context, strengths and opportunities generate returns, which translate into increased cash flow projections. Strengths and opportunities can lower risk via higher pricing multiples or reduced cost of capital. Threats and weaknesses have the opposite effect. A valuator needs, however, to avoid double-counting these effects in the risk and the return as well as the expected growth components of his or her analysis. An attorney may want to consider framing trial or deposition questions in terms of a SWOT analysis. Attorneys can use this framework to demonstrate that an expert witness truly understands the business — or, conversely, that the opposing expert does not understand the subject company. 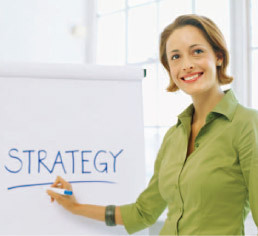 Businesses can repurpose the SWOT analysis section of a valuation report to spearhead strategic planning discussions. They can build value by identifying ways to capitalize on opportunities with strengths. Or they can brainstorm ways to convert weaknesses into strengths — or threats into opportunities. For example, if a competitor threatens to lower prices, a company can in turn lower its prices or reposition its products as luxury goods via a differentiation strategy. The latter may be a better option if the company’s strengths include a strong brand image and superior quality. Part of valuing a business is evaluating the internal (strengths and weaknesses) and external (opportunities and threats) factors that affect value. But risk and return are in the eye of the beholder. Buyers and sellers — or plaintiffs and defendants — rarely agree on these subjective assessments. SWOT analyses provide a logical framework for bridging the gap. nyone who’s played the stock market can appreciate the benefit of hindsight. Before investing in a company, who wouldn’t like to know that a hurricane will destroy the business’s primary warehouse, or its technology will become obsolete next year — events that might affect the price knowledgeable investors are willing to pay per share? Like investing in public stocks, private business appraisal must be based on information available at the time — specifically, on the required date of appraisal, according to Revenue Ruling 59-60. The valuation date is an important cut-off. Valuators generally consider only information that was “known or knowable” on the valuation date. Valuators cannot benefit from hindsight any more than investors can. But there are exceptions. In some circumstances, an event is knowable yet unknown on the valuation date. Jung made an important distinction between subsequent events that affect fair market value and those that provide an indication of value. Within the first category, only reasonably foreseeable subsequent events may be factored into a valuator’s analysis. But if a subsequent event provides an indication of value, it might be considered — even if it wasn’t foreseeable — as long as it occurs within a reasonable time frame and at arm’s length. A valuator also considers whether intervening facts and circumstances have drastically changed the value of the business since the valuation date. Several gray areas exist when a valuator handles subsequent events. In some circumstances, an event is knowable yet unknown on the valuation date. For instance, suppose corporate counsel has confided in the company president about an imminent criminal investigation. Should a valuator factor confidential information, such as a pending criminal investigation, into the value conclusion if it’s undisclosed on the valuation date? In general, unknown subsequent events that would be uncovered during reasonable acquisition due diligence may be considered in an appraisal. Appraisers consider all subsequent events and rule out some of them when valuing a business. The “known or knowable” benchmark isn’t the only guideline for proper handling of subsequent events. Courts may view actual arm’s-length transactions of a private company’s stock before or after the valuation date as the best indicator of value.